West Central Initiative featured Jodene Miller and the Barnesville Child Day Care Center twice in its 30 years. 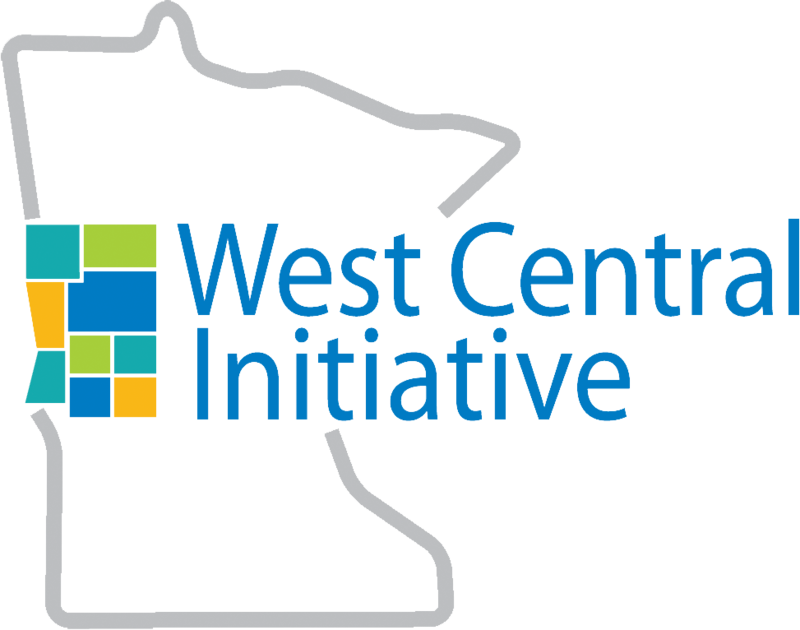 [West Central Initiative’s] Child Care Initiative was created in response to a year-long study of how to most appropriately respond to the child care needs of the region. The study showed that in much of the region less than half of the child care needed by working parents could be provided by licensed providers. As a result, [WCI’s] Board of Directors adopted an initiative focused on expanding the capacity of the region’s licensed care centers. Grants to child care centers during the year helped assure that child care was available for more than 270 children in the region. Included in this were grants to traditional child care centers and also to after-school child care programs. The grants were made to programs in communities ranging in size from 275 to 13,000 people. An example of an organization receiving a child care grant from [WCI] during the year was the Barnesville Child Day Care Center.  The Center applied to [WCI] through its special emphasis program for child care centers. It had lost its lease on the facility where is had been operating and, since there were no other suitable buildings in town, was faced with building a new facility. The people of the Barnesville are provided major commitments of time and funds to building a new facility for the Center. Jodene Miller, the Center’s Executive Director, served as general contractor. Virtually all of the construction labor was donated and substantial discounts were received on certain materials. A community fundraising campaign raised over $26,000 towards facility costs, however, some additional funding was needed so that the mortgage costs on the facility would not force the Center to charge more for care than most parents could afford. [WCI] awarded a $15,000 grant to the Center to help meet the construction costs of the new facility. Together with the major commitments of time and money from the people of Barnesville, this has permitted the Center to relocate, remain open, and continue to provider quality child care services at a reasonable cost to parents. Jodene Miller lets out a large breath as she sits down on a big sofa. It's nap time, so for a moment, there is peace. Miller has been the director of Barnesville Child Day Care Center for more than 20 years. She's taught more than a thousand kids over the years, some of whom are bringing their own children back to the day care center. It's not dress-up, but Miller has worn her fair share of hats over the years. 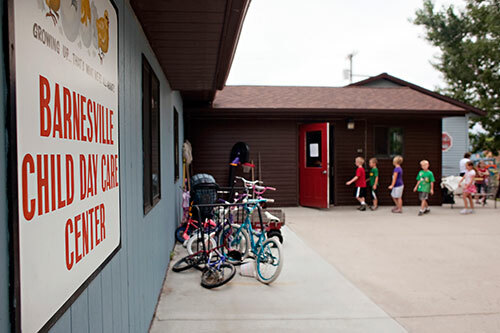 She jokes, “You miss one meeting and all of a sudden, you're the general contractor.” She's played the role more than once, as Barnesville Child Day Care Center has grown from one, 800-square-foot building to a three-part complex that features a kitchen and two playgrounds. The facility currently watches over as many as 120 children. Through continuous community donations, the USDA Rural Development Grant, [Child Care Aware] grants, countless hours by volunteers and ongoing support by West Central Initiative, the Barnesville Child Day Care Center property is paid in full. This helps ensure that the next generation of Barnesville children will has a safe, fun and enriching place to grow and play. Just as the children were starting to awake from their naps, Miller reflected on her 20-year relationship she's had with West Central Initiative and the difference she's been able to make on children as a result. Case in point, in 2010, a group of her former students added to the center once again, donating their time to give back and look forward to when their children’s children will play in those rooms.